When you travel by ferry to Belgium, you will find inspiring destinations steeped in history and culture. Belgium is known for its medieval old towns, Flemish Renaissance architecture and for being the international headquarters of the European Union and NATO. The country is divided into 2 distinctive multilingual regions: Dutch-speaking Flanders to the north and French-speaking Wallonia to the south. The bilingual capital, Brussels, is home to ornate guildhalls at Grand-Place and an art nouveau-influenced European Quarter. 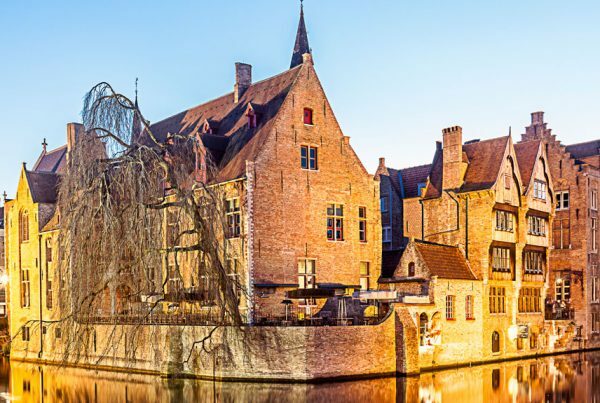 When you arrive by ferry at Zeebrugge, you will be free to explore the beautiful city of Bruges and start a journey that could take in the fantastic cities of Brussels, Antwerp, Ghent and Liege. In Belgium, you will find 35 UNESCO World Heritage sites, over 200 museums, 300 art nouveau buildings, 550 different styles of beer and over 2,000 chocolate shops. Belgium is a food lovers’ dream and a beer lovers’ heaven. Taking a ferry to Belgium is perfect for a holiday, short break or as a starting point for a truly European adventure!